Thermal transfer printers with the capability of printing RFID tags for such applications as apparel or general tagging. Smart labels are standard printed labels with RFID chips and antennae embedded into the label itself. This chip is encoded with data relevant to the label or the chip's purpose, and can be read with an appropriate scanner. While the chip is embedded in the label, the label itself still can be printed with any regular image, text or barcode and applied like any other label. An RFID printer is a printer specifically designed to write data to RFID chips embedded in smart labels. The printer contains an RF encoder, which transmits the data to the chip and encodes it. The printer then checks the data to ensure it has encoded correctly. RFID printers also print the label itself, adding a barcode, graphics or any other information desired to the label itself. 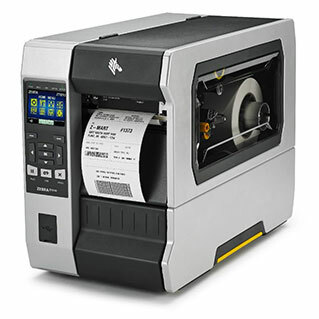 RFID printers and the smart labels they produce can be used in many fields. They can be employed in warehouses and retailers as an inventory control system, where the RFID chip can contain information regarding a wholesale package's contents or set off an alarm if a shoplifter attempts to sneak it past a scanner at the exit. They can also be used for shipping, where basic shipping information can be printed upon the label itself and more detailed information regarding handling instructions, shipping history or other information can be stored upon the chip.